Bikers at The Crossing is inviting area Churches and Ministries to partner with us to help the orphans and widows in Mozambique. 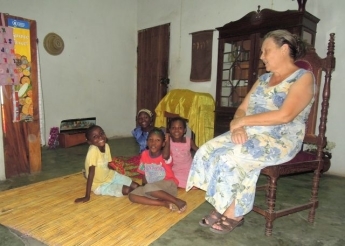 Our longtime friend Tanneken Fros, who has been working at an orphanage in Mozambique, has made us aware of the need to have a permanent kitchen and we are taking up the call to build it. 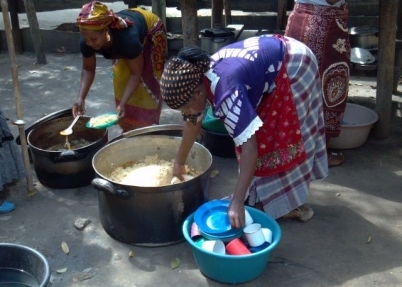 TCF Mercy and Mountain of Praise Church in Dondo Mozambique have been serving the orphaned children in that area for over 16 years and have never had a permanent place to prepare meals. The current kitchen has poles to support the thatched roof and has to be rebuilt every year after the rainy season. We want to build a block wall structure with a tin roof so that it won’t have to be rebuilt every year and provide a cleaner dry, place for them to cook all year long. We plan on sending a team to go help build the kitchen at the end of July and staying for approximately two weeks. We have someone that is going to purchase all the materials before we arrive so when we get there we can go to work. The entire project will cost about $25,000 and we have $6000 in our account now. If you have a heart for orphans, Africa or those that are in third world countries please consider partnering with us to help the children in Mozambique that can’t help themselves. Bikers at The Crossing is a non-denominational, non-judgmental group of motorcycle riding believers that love Jesus and have a heart to do what we can to help others. For more information about us go to our About link or call me (Dave "Pills" Davidsen) at 574-202-0463. We will be having a fund raiser on April 27th at Sunnyside Park in New Paris and a Haystack Supper on June 21st at the Jefferson Community Church Blessin Haus. I have enclosed flyers for both they can also be seen by clicking After The Blessing Ride or Haystack Flyer. 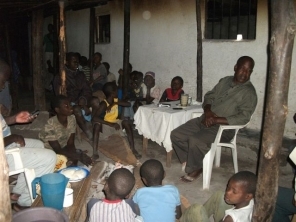 All the money raised will go towards building the Kitchen our group does not take any money. Tax deductible donations can also be made through TCF Mercy’s website TCFMercy.org or sent to them to TCF Mercy, PO Box 408, Goshen IN 46527. Please ear mark donations to Bikers Orphans Kitchen. Thank you for your consideration in helping us with this project, we look forward to hearing from you.